Earlier this year, on June 28th, I went to the second Heller Fili book sale with a mixture of excitement and dread. I was eager to see what sort of things Steve Heller and Louise Fili were parting with, but not eager to add more items to my already bulging collection of books and ephemera. And not eager to spend money after a binge at McNally Jackson Books a few days earlier. Partly because I arrived late, I succeeded in buying a small number of odd, unexpected items for less than $100 total. Here are some comments on my purchases. • An April Song: New Poems by Charles Hanson Towne (New York and Toronto: Farrar & Rinehart, Inc., 1937). This was the ﬁrst thing I snapped up. 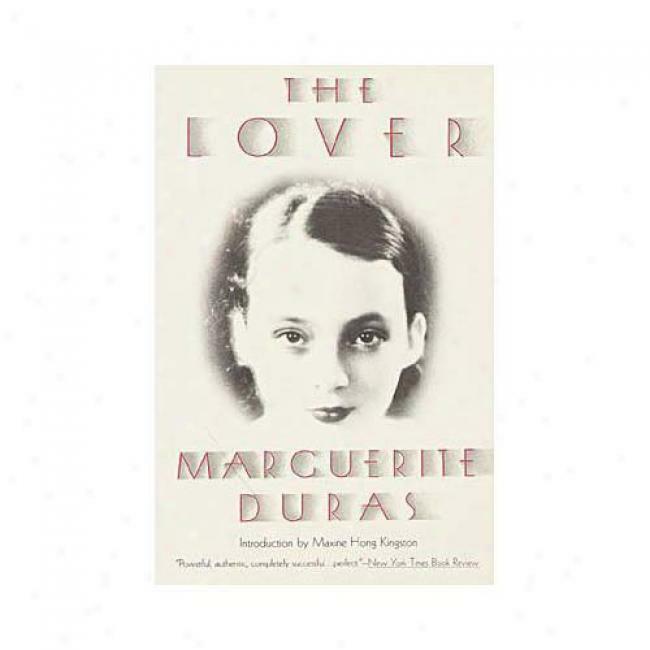 I wanted the jacket which immediately reminded me of Louise Fili’s iconic jacket design for The Lover by Marguerite Duras (Pantheon Books, 1985). Louise told me that she found the jacket for An April Song after she designed the Duras cover. 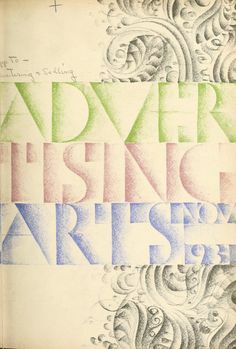 She considers it to be inferior to Gustav Jensen’s cover for the November 1931 issue of Applied Arts which was her inspiration. 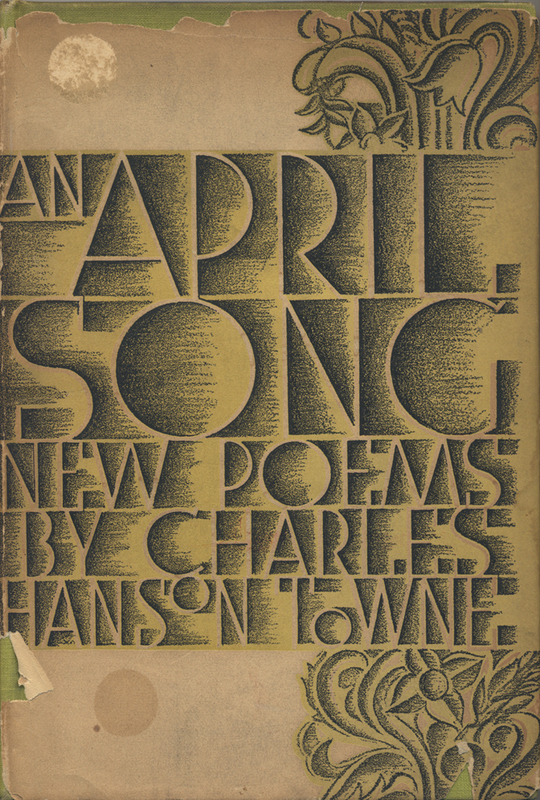 An April Song: New Poems by Charles Hanson Towne (Toronto and New York: Farrar and Rinehart, Inc., 1937). Uncredited jacket design. • Creative Art: A Magazine of Fine & Applied Art (January 1929) vol. IV, no. 1. 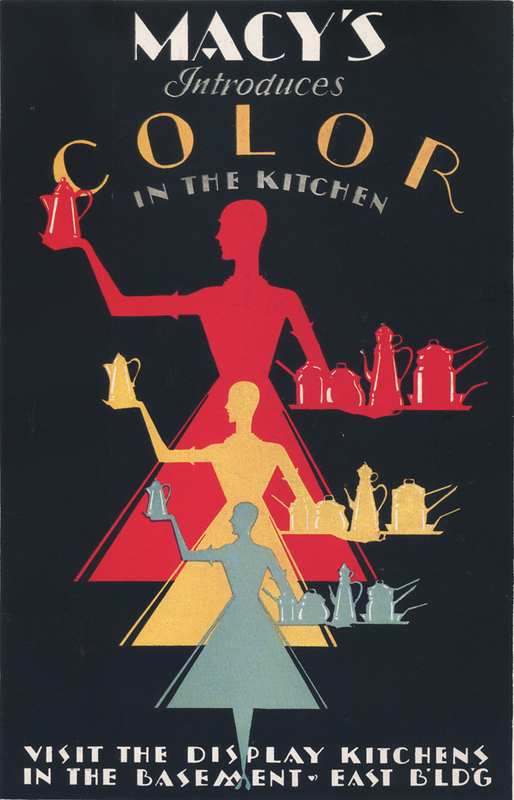 I grabbed this British magazine for its cover which reminded me of an early Paul Rand design. 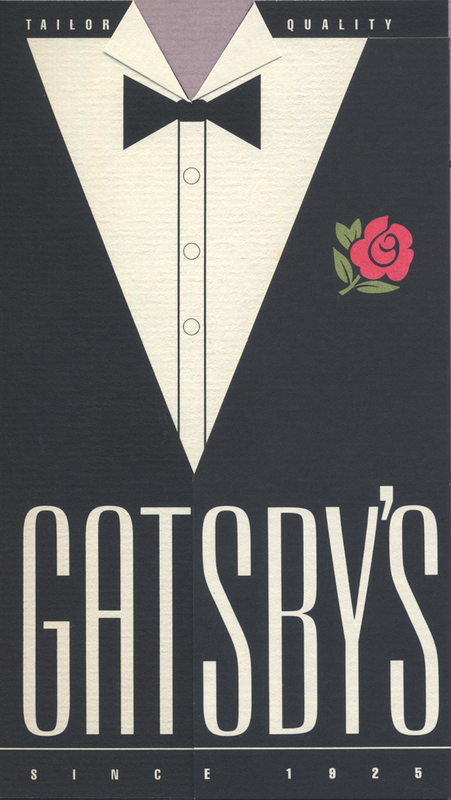 It was in such excellent condition that it looked like a copy of a 1920s Art Deco design rather than the real thing. Other than some advertisements at the back, the interior is visually disappointing. However, there are articles by Lewis Mumford, Diego Rivera (with photoraphs by Tina Modotti), and José Clemente Orozco; and showings of some rugs designed by E. McKnight Kauffer and Marian Dorn. The beautiful cover is uncredited. 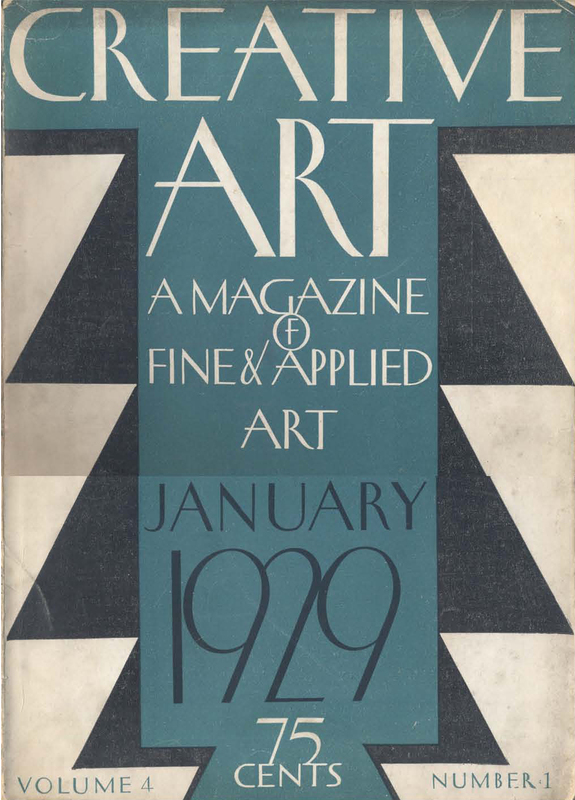 Creative Art: A Magazine of Fine & Applied Arts (January 1929). Cover design not credited. The small advertisement for Crillon restaurant (signed by WR) is pure Art Deco, successful even in black and white. There are also advertisements for The Decorative Work of T.M. Cleland, a beautifully printed survey of the American designer’s work, and for Giovanni Mardersteig’s Officina Bodoni whose work—“using actual Bodoni types”—is available through the Pegasus Press. 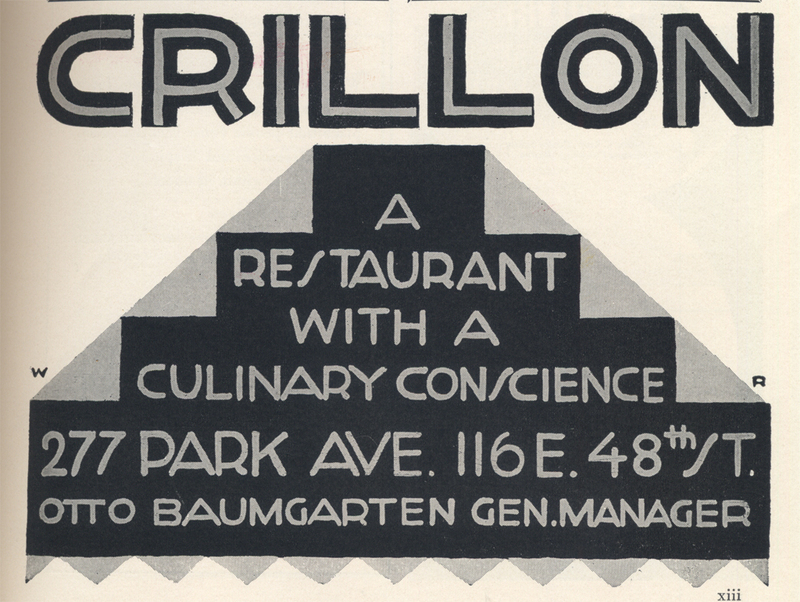 Crillon Restaurant advertisement from Creative Art (1929). Design by WR. In the product created by Harris Wolff Estate the drab and monotonous are gone… replaced by the colorful, the interesting. Fresh designs, vibrant colors, soil-proof cover material, improved construction… succeed the overworked ‘customs’ which have held the stage since the gay nineties. Now, for the first time, the facilities of a large organization are available to aid customers in applying this modern movement to every-day book manufacture… [my gap] …We can show you how to use the modern without going ‘too modern’; how to blend good taste with eye appeal; and how to make these ideas technically practical for volume production at unusually low cost. He can out-Caslon Caslon on serifs and such; and yet remember the human angle when there’s Copy to be interpreted. His name’s Edward Alonzo Miller and we’re all going to enjoy working with him. • I came with little specific in mind to buy, but hoping there would be paper company specimens, a current obsession of mine. I immediately saw “Everything Old Is New Again,” a specimen for Cross Pointe’s Bellbrook Laid line (1991)—apparently a reject from a Type Directors Club competition—and added it to my small pile. I am saving it for an exhibition on paper promotions that a colleague of mine is eager to mount. The Cross Pointe specimen is an example of Art Deco retro. It is very 1980s, both in its look and in the use of tip-ins, wire-o binding, etc. The design is by Little & Company, Minneapolis. Compare the retro Deco insert below with the real Art Deco designs elsewhere in this post. • A more interesting paper sample, and an instance of real Art Deco, is Westvaco Inspirations for Printers number 50 (pre-Bradbury Thompson). The cover has a title in lettering borrowed from Cassandre Étoile Nord poster (1927) combined with Rudolf Koch’s Neuland. Inside the issue there is a showcase of posters by Ludwig Hohlwein, but my eye was drawn to one for Macy’s by an uncredited Leo Rackow. There is also a double-page advertisement for Kodak by Walter Dorwin Teague marking his shift from print designer to industrial designer. Poster for R.H. Macy & Co. department store by Leo Rackow. From Westvaco Inspirations for Printers no. 50 (1929). • I bought the Hungarian magazine Interpressgraphik: International Quarterly for Graphic Design 1979/3 for its articles on Solomon Telingater, Prague metro signage and Metro typeface, Push Pin Studio, and “Thoughts about the Effects of Applied Graphics in Socialist Society” by Axel Bertram. The cover has a detail from Satirical Fantasy by John Parry (1835) showing a wall covered in posters and broadsides. 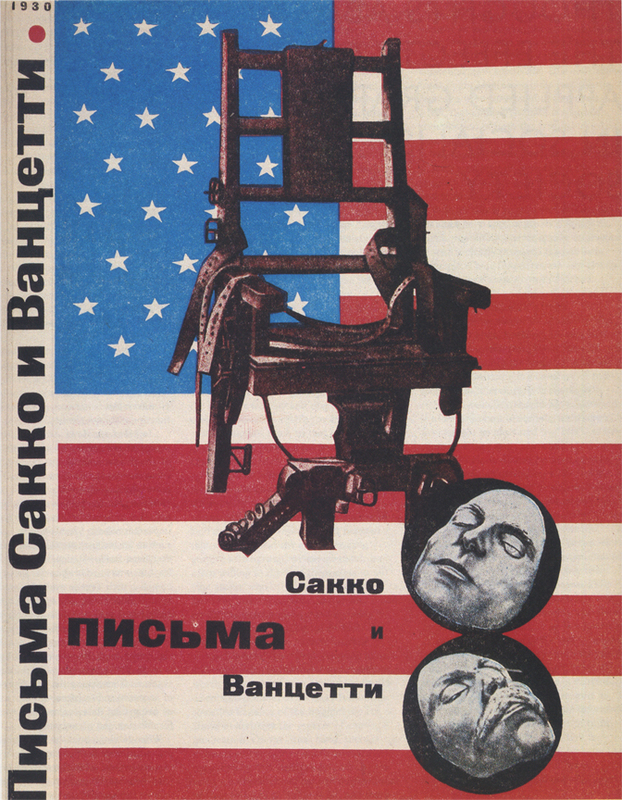 The Letters of Sacco and Vanzetti poster by Solomon Telingater (1930). • Finally, I purchased a 1983 Garland reprint of the 1935 Catalogue of Specimens of Printing Types by English and Scottish Founders 1665–1830 compiled by W. Turner Berry and A.F. Johnson with an introduction by James Mosley. It is a standard reference source that I was lacking.